Lovin' Lyrics Music Promotions: EXCLUSIVE #THROWBACKTHURSDAY VIDEO: NAOMI JUDD DISCUSSES #1 HIT "YOUNG LOVE"
EXCLUSIVE #THROWBACKTHURSDAY VIDEO: NAOMI JUDD DISCUSSES #1 HIT "YOUNG LOVE"
The Judds, one of the most successful country duos of all time, hit their high in the ‘80s with 14 number one hits in short span of only five years. One of those hits was their 13th #1 song released in February 1989, "Young Love", written by Kent Robbins and Paul Kennerley, the story of two young lovers and the timeline which follows them from first meeting to marriage and having a family. The single was a track from their "River of Time" album. What a sweet song. Listen as Naomi Judd remembers the song and discusses the story in this exclusive video. 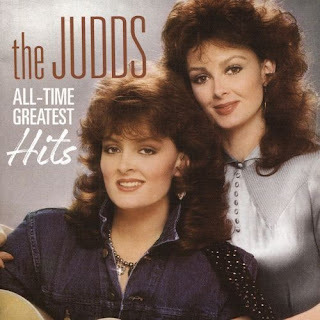 The song can be found on their brand new compilation CD, "The Judds All-Time Greatest Hits" which is available on digital outlets everywhere and most stores that sell music including Best Buy, Barnes and Noble and Walmart.